A safe and highly effective physical exfoliation procedure, removing the top-most layer of dead skin along with fine, vellus hair. *Must discontinue use of Retin-A products at least 3 days prior to the procedure. Add to any 80 minute facial for an additional $35. It’s a skin care treatment which removes peach fuzz and dead skin cells. 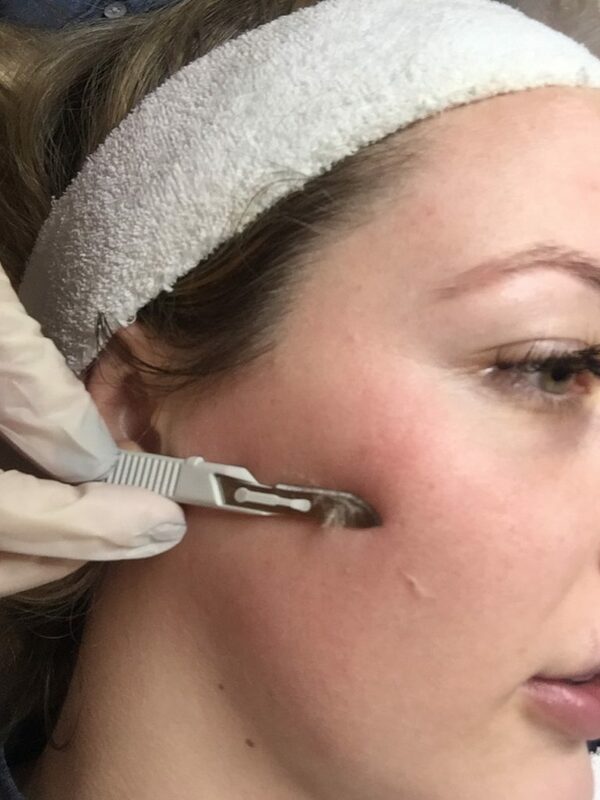 In this treatment, an aesthetician will use a small and sterile blade while they hold the skin tight as they swipe the blade using gentle and upward motions. It is a painless procedure ad quite relaxing. The blade gets used on the facial skin that is clean to remove dead skin cells. What Are The Uses Of Dermaplane Treatments? It helps out anyone suffering from rough and dry skin and other skin irregularities. It’s also great for dealing with wrinkles and fine lines and damaged skin. It is great for helping superficial pigmentation, or mild scars, like those that result from acne to appear smoother and less pronounced. What Effects Happen After The Treatment? Dallas Dermaplane facial treatments involve the skin being lightly scraped with a scalpel used in delicate and even feathery strokes. The scalpel blade removes surface impurities carefully, as well as dead skin cells. Skin that is treated this way might be red and even mildly swollen following treatment. We highly recommend to use sunscreen since dermaplaned skin is more susceptible to sunlight damage. After the treatment, your skin will look brighter and have a more youthful appearance. 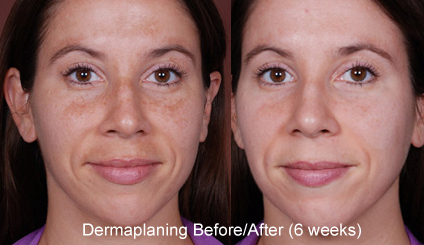 What Are The Benefits Of Dermaplane? F or starters, it removes facial hair. A second benefit is exfoliation of the skin. While it’s true that there are many different ways to exfoliate skin, dermaplaning isn’t abrasive, nor does it need special chemicals; this sets it apart from microdermabrasion and other options. This facial treatment is great for people with sensitive skin types. Another benefit is anti-aging effects. It can prevent further damage while reducing the appearance of any damaging effects that have already happened, resulting in skin that looks more youthful. The removal of the top layer of skin has a revitalizing effect that gives your skin new life and vibrancy. Lastly, once the treatment is done, you can go home and apply a facial moisturizer or even apply makeup for the day. Any redness from the treatment won’t appear long. Book a dermaplane facial treatment today at Riviera Spa Dallas!